Arguably Regency England’s most scandalous family of misbehaving rogues and ladies, the Cynsters are back! 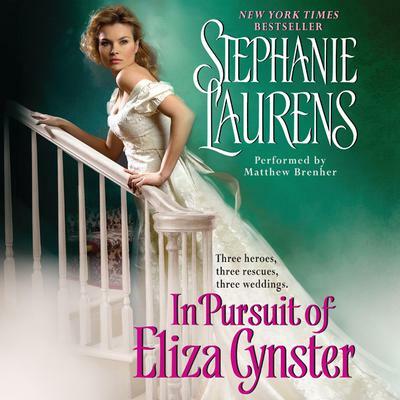 New York Times bestselling author Stephanie Laurens continues her delectable new historical romance series with In Pursuit of Eliza Cynster, focusing on the first of three Cynster sisters, each on a determined quest to find a hero who’s her match in every way possible. When Eliza is kidnapped from her sister’s engagement ball, the plucky miss refuses to be daunted—and her escape leads her straight into the arms of a most unlikely champion. Devoted Laurens and Cynster fans, as well as readers of the acclaimed romance fiction of Lisa Kleypas, will find pursuing Eliza Cynster to be an exceptional delight!